As usual you can put your suggestions, comments and questions below and I’ll do my best to answer. Good luck! Strong bill. Is it from the sea ? Is it from Pr*********dae ? a very upright character and gregarious? who follows a current trend. 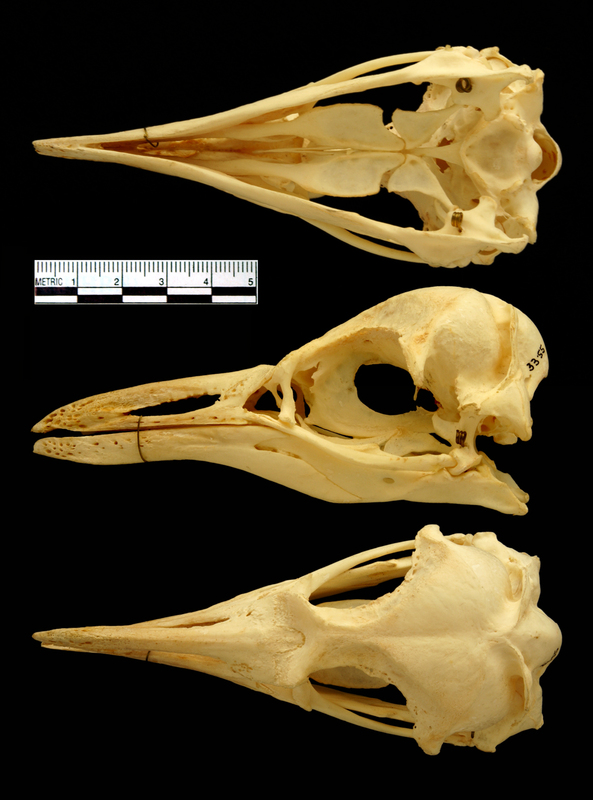 OK so ‘Seabird Osteology’ site says cranium more rounded…. so I’ll have to go with demersus too. I think so, Barbara. I compared the two best images of d. and h. I could find and am pretty sure the variation is more than you’d see between individuals. Given my record here, I’ll probably end up choking down my words whole and slippery but I’m voting d. ! That strong lower bill suggests the ability to dig or turn stones over? That strong lower bill suggests the ability to dig in mud? So something that lives on mudflats, intertidal zones? No doubt a seabird….I’m inclined to go with S.d…..